Conquest Resources Limited (TSX-V: “CQR”) is pleased to report that it has resumed its field exploration program at it’s Golden Rose Gold Mine property located at Emerald Lake in Afton Township in Northern Ontario as fire ban is lifted. For the past several weeks the general area surrounding the property suffered extensive forest fire damage resulting from extremely dry conditions and numerous lightning strikes. Road access to the project site was closed to all but essential personnel and evacuations either recommended or ordered. However, the Golden Rose project site itself sustained minimal damage with only one small fire that was quickly extinguished. Resumption of exploration will include approximately sixteen (16) kilometres of surface grid line cutting, mainly over the eastern portion of the property, in addition to detailed Trimble surveying of numerous surface features at the mine and surrounding area to assist 3D verification of deposit geometry. The planned field work will specifically focus on the geophysical targets defined by the airborne Versatile Time Domain Electromagnetic (VTEM™ Plus) and Aeromagnetic Geophysical Survey carried out by GEOTECH Ltd., over the Golden Rose Mine project area in March 2018. (See Conquest News Release July 12, 2018). The primary objectives of the geophysical survey and the interpretation of the acquired data were to derive detailed lithological and structural maps of the Golden Rose Mine project area and to delineate new favourable areas for detailed exploration of gold and/or other mineralization and related alteration zones. Exploration over these geophysical VTEM targets will include geological mapping and soil and till geochemistry to determine if the target areas are gold-positive. Line cutting of a new exploration grid over the geophysical targets and preparation of drill pads in anticipation of a diamond drill program will also be carried out. Completion of this initial field exploration work is anticipated by late August. Conquest has initiated consultations with the TEMAGAMI FIRST NATION (TFN) & TEME AUGAMA ANISHNABAI (TAA) regarding the Company’s proposed exploration activities at Emerald Lake within the traditional lands and waterways occupied and used by the Temagami First Nation/Teme Augama Anishnabai. The Company has provided preliminary information to the communities and is scheduled to attend a meeting with the Chiefs and Councils to determine whether further consultation is required and anticipates signing an MOU or Exploration Agreement to address any accommodation requirements that may be identified. The Golden Rose property is underlain by highly prospective Abitibi greenstone geology, with two parallel (North and South) Banded Iron Formations (“BIF”). Between 1935 and 1941, mining operations of Consolidated Mining and Smelting Company of Canada, Limited (Cominco) produced 45,000 ounces of gold from structurally controlled, shallow to steeply dipping, high-grade quartz-pyrite veins, hosted almost exclusively in the Banded Iron Formations. The Golden Rose mine workings (flooded) consist of more than six kilometres of underground workings as well as a three (3) compartment, 228-metre-deep shaft and a decline ramp from surface to the 6th level of the mine. An inclined winze connects the 6th and 7th levels to the 5th level of the mine. Surface drilling between 1984-2011 identified rich mineralization lying adjacent to known underground development. 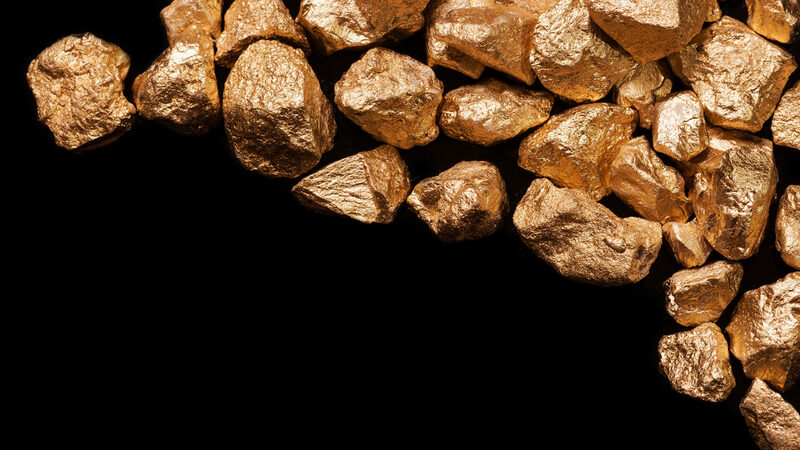 Diamond drilling between 2009-2011 intersected gold grades as high as 155.7 grams of gold per tonne over 1.82 metres. Conquest believes several of these intercepts represent new mineralized gold quartz lenses having potential economic viability. Conquest’s exploration strategy at its Golden Rose property is to target gold mineralization lying along the two prospective horizons of Algoman-type Banded Iron Formations, which trend east-northeast across the entire strike length of the Golden Rose property. Paul Smith P. Geo. (NS) continues to lead the technical team and direct the Company’s exploration programs and is the Company’s Qualified Person for the purposes of National Instrument 43-101 and has approved the technical disclosures within this News Release. Conquest holds a 100% interest in the Golden Rose Property located at Emerald Lake, sixty-five (65) kilometres northeast of Sudbury, Ontario. The thirty-three (33) easily accessible patented and staked mining claims encompass 770 hectares and the former Golden Rose Gold Mine, located deep within the regionally large, unexplained Emerald Lake (Temagami) Anomaly, which closely resembles the magnetic signature of the adjacent Sudbury Basin. Conquest’s exploration strategy at its Golden Rose property is to target gold mineralization lying along the two prospective horizons of Algoman-type Banded Iron Formation, which trend east-northeast across the entire strike length of the Golden Rose property. Conquest has now increased its land position in the area by approximately 3,200 hectares and currently holds a total of 3,980 hectares of prospective mineral exploration ground.